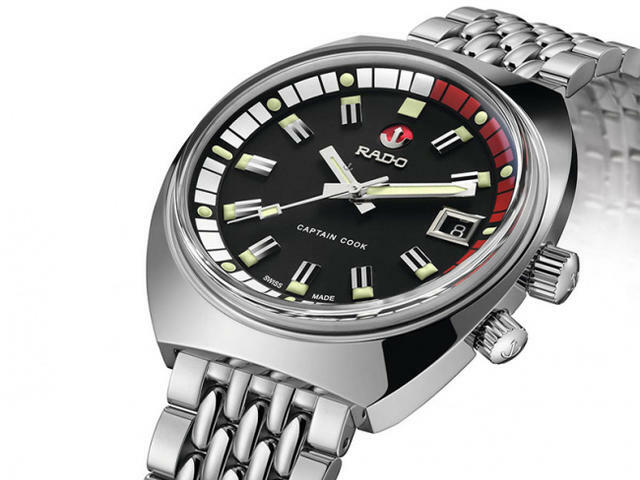 Rado reactivates one of its early dive watches from 1962 with this Tradition Captain Cook MKII, a limited-edition steel watch that echoes the original’s size, its metallic free-rotating Rado anchor, red and white inner rotating bezel and natural-hued luminous dots. Measuring an original 37mm across and 40.6mm from top to bottom, the Rado Tradition Captain Cook MKII also retains the odd, yet strong 220-meter water resistance rating of the 1962 version as well the impressively thick box crystal (now made in sapphire) that tops the dial. 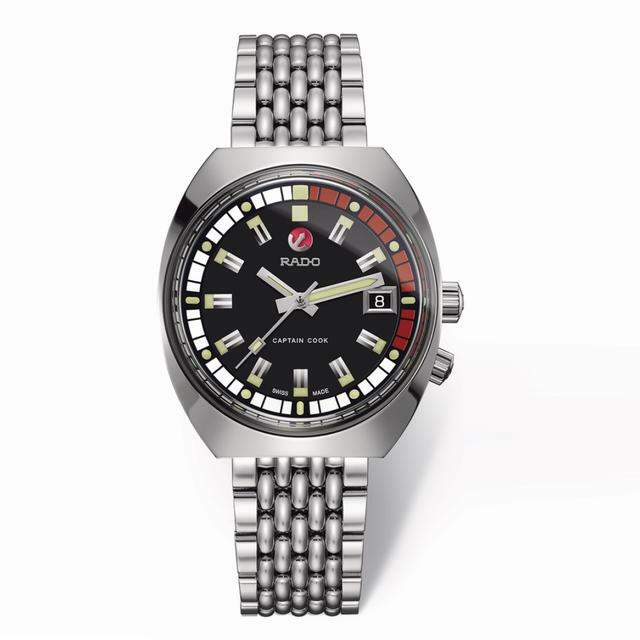 Rado wisely updates the new version with a matte black dial and a healthy dose of SuperLuminova on all the applied indexes and the hands. Also new is the superb retro rice-grain steel bracelet, a solid, polished affair with beautifully designed links that complement the polished case. The updated bracelet is also interchangeable and can be quickly swapped for the black NATO strap included with the watch. A black NATO strap is included with the watch. 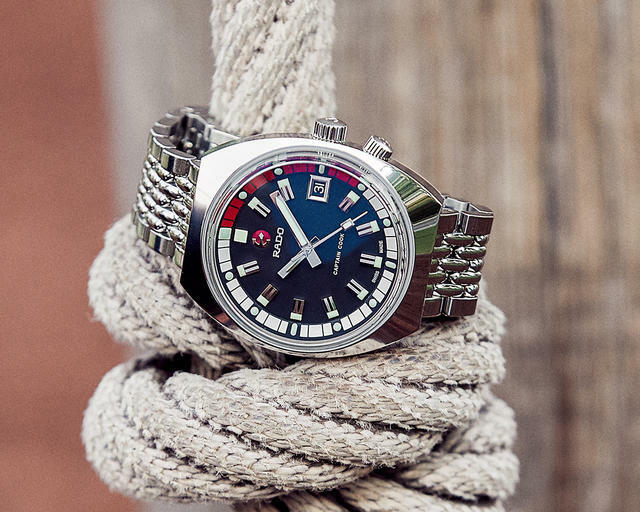 Inside this Captain Cook MKII is the ETA CO7.611, the Swatch Group’s game-changing automatic movement. Operating for up to eighty hours on a full wind, few watches (outside the Swatch Group) will offer such a long-lasting power reserve at this price range. 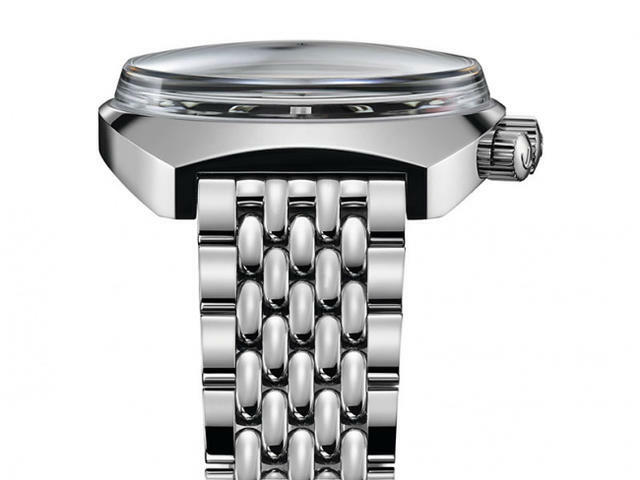 This watch will be offered as a limited edition of 1,962 watches. Price: $2,150. 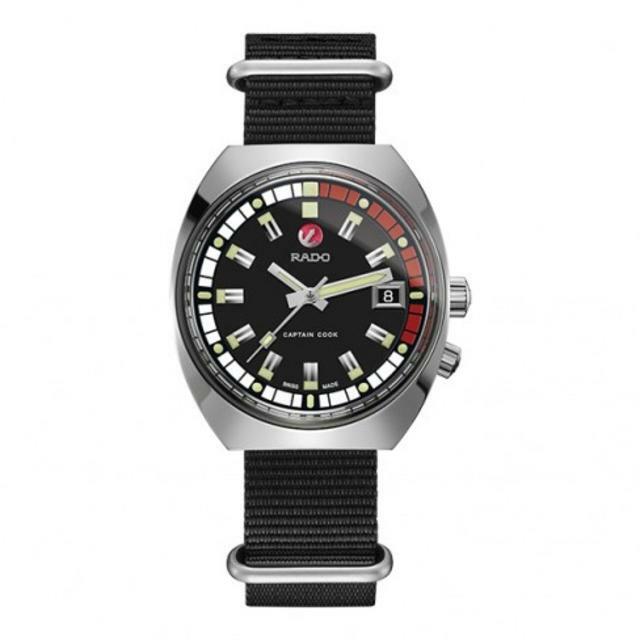 The caseback is engraved with Rado's dive watch seahorse logo. Case: 37.0mm x 40.6mm x 14.3mm polished stainless steel, screw-down stainless-steel case back with 3 stamped seahorses, two polished stainless steel screw-down crowns, box shaped sapphire crystal with anti-reflective coating on both sides, thin black metallized anchor in the middle of the sapphire crystal water-resistant to 220 meters, special engraving on case back: Limited Edition One Out of 1962.